It’s no the best feeling…. I KNOW!!! Within the past couple of years, I’ve had one piece that has been my fall-backs in this ‘clock running out’ situation. It’s the long blazer. You could say these one item has really pulled me out of a lot of binds! And honestly, when I bought two long blazers... I really didn’t think they would last this long. Especially as someone who is BIG on jackets, quite a few different styles can come into rotation. 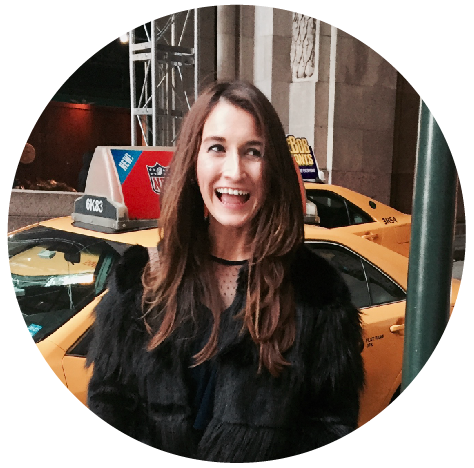 I’m writing about this today because LONG BLAZERS is ALSO a huge-o fall trend. Now, on the hanger, it doesn’t have much appeal. I get it, it looks totally blocky and unflattering. Blah. However, I want to let you know it’s by styling the long blazer the RIGHT way that you will feel beautiful. Not to mention, you’ll have that clutch piece you know you can grab to easily throw on and dash out the door (and not be late!). 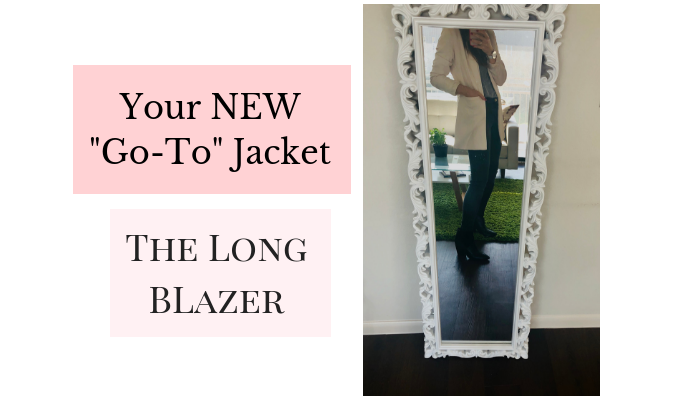 Here are a 5 ways to style a long blazer, while still flattering your figure! Style 1 - Blazer with form fitted dress: For when you’re wanting a little more coverage and showing a little less curve (say, your going to mass or something), this is a great way to still highlight your shape but in a more professional/polished way. 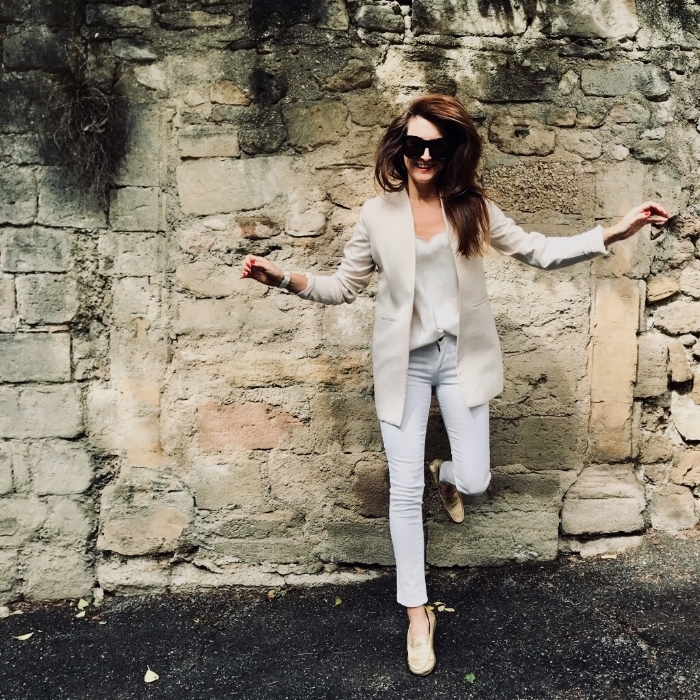 Style 2 - Blazer with Tee, skinnies & booties: Jeans, a tee, & booties can feel SOOO overdone somedays (and some days it’s perfect, don’t get me wrong!). But when you’re tired of your cardigan or anorak jacket, bump it up a notch with this blazer. It’ll give you a little more polish and add a sharp vibe to your Look. Style 3 - Blazer with loafers and silk camisole: A long blazer with a loafer is a fanTAStic pairing. Since you don’t have a heel to elongate the leg/hip, it’s great to way to flatter your upper thigh (by covering it, lol) since you’re in flats. Style 4 - Blazer with summer dress + boots: Who doesn’t love getting the MOST out of every piece they’ve bought?! Using a simple summer tank dress under this blazer is a great way to transition it into the Fall. (And if you don’t live in a blazing hot state like Texas… I recommend this with tights!). Style 5 - Blazer with a Cargo Pant: Sometimes in a cargo pant it’s easy to feel “frumpy” (because well… guys wear cargos and it’s a masculine detail). So, to polish it up, you can pop on a long blazer to sharpen your Look and distract the eye from the cargo pockets. Trust me! This will change your fashion-game!! Question: What’s your favorite “go-to” blazer?